Ever look over a list of Hall of Famers? One of the things a lot of people mention after doing so is “Geez, there’s not a lot of third basemen in the Hall.” That’s true. But it’s also true of catchers. Excluding 19th Century players, there are a dozen each third basemen and catchers in the Hall. It’s a hard position, catcher, to play. But we are living in a great age for catchers that can hit. There have been a few of those, but not many. In the 1930s you found Mickey Cochrane, Bill Dickey, and Gabby Hartnett playing at the same time. In the 1950s there was Yogi Berra and there was Roy Campanella. Gary Carter and Carlton Fisk overlap in the 1980s. And in the last 15 or so years, we’ve had the pleasure of seeing a new group of them that may (or may not) be as good, but are certainly a deeper pool of fine hitting catchers. Going back to the turn of the century, Mike Piazza and Ivan Rodriguez were still productive players. In the 21st Century we’ve added three more. Did you know that prior to 2006 catchers won only three batting titles: Ernie Lombardi twice and Bubbles Hargrave? Since 2006 catchers have won four. 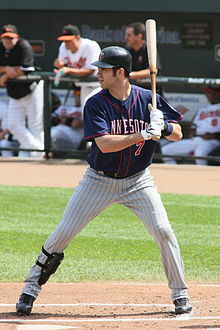 Joe Mauer has three and Buster Posey one. And this year Yadier Molina (who has in the last few seasons resolved any doubt as to which Molina brother was the best) is leading the National League. He probably won’t stay there, but to have a catcher leading the NL on 1 July is amazing. So let’s all set back on our Fourth of July break and enjoy a ballgame. And while we’re at it, take a second to revel in the quality of good hitting catchers that are available to us. It’s very rare.